Yesterday, when I was talking to my friend Elizabeth, we got to talking about what it meant to be home. For both of us, “home” is the desert– but, of course, all that gets complicated after college. We move to different places, get jobs, and “going home” starts meaning coming back to your house after work rather than taking a plane to the desert for the holiday break. If you move around enough, the meaning of “home” becomes even broader. Suppose you make your home in other cities, states, and countries. Where’s home then? Having homes in different cities is incredibly complicated, because at some point, you end up missing the home you aren’t at. Like the thoughtful blog One Hundred Heartbeats demonstrates, where we are and where we are not is an incredibly important part of life. A deep connection to the places you go is magical because it allows you to live forever, in a way; on the other hand, it comes at a great cost. I’ve always been interested in this relationship between human and home, and I often explore it in my own work by writing about the places I’m connected with– mostly, my hometown, Palm Springs. The strangenesses of my hometown become more apparent to me after I describe it to people who are unfamiliar with it. I tell people about the big casinos, the slow-driving snow birds, the visiting presidents, the boutiques downtown, the resorts, the coyotes, the plastic surgery, the empty lots that look like they’re straight out of a Western, the small-town politics, the buildings abandoned after the recession, the huge earthquakes, and the times it’s gotten to 120 degrees in the summer but your car thermometer says it’s 150 degrees and you feel like your car is telling a truer version of the story, and I think to myself, Wow, I grew up in a really weird place. I need to write about this. Having some distance from my hometown helps me see it through the eyes of an outsider, but it also inspires me to capture it more accurately for readers, so they can want to be there as much as I do, for all the good, bad, and ugly parts. 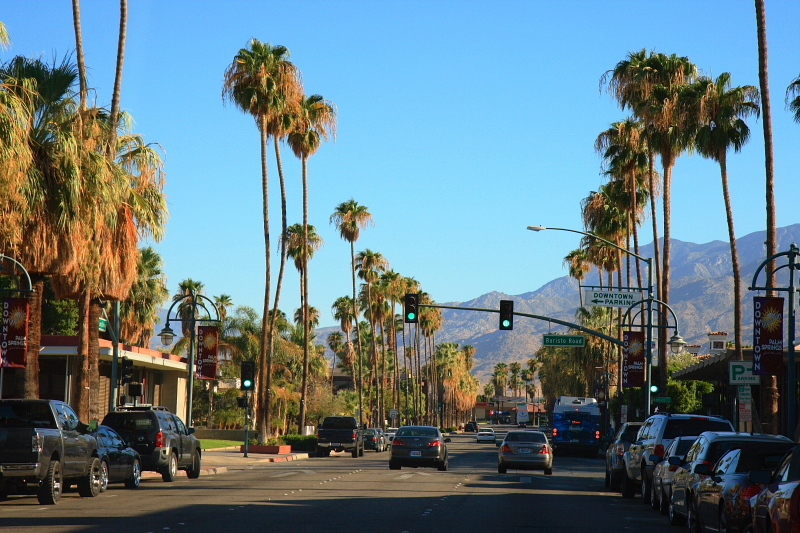 Right now, I’m working on some short stories that take place in Palm Springs, and I’m enjoying the process of re-learning, exploring, and describing that funky, palm tree-lined city. Even though I can’t visit, I can still be there in spirit through writing about it; maybe the people who read my stories will even feel like it’s their home, too. That’s the magic of reading and writing– you can always be in more than one place at a time. Gosh, that’s a sad song! True. Powerful, though. I find the sleigh bells particularly chilling. My mind did this diagonal leap to it when you mentioned the theme of ‘home.’ I almost went with Ripple by the Grateful Dead “If I knew the way, I would lead you home,” but this is a better song. It’s a really good song. Thanks for sharing! Of course, why didn’t I think of it sooner? Tell us more about the desert. I’ve not spent much time there, but the few times I have it has been a truly magical experience.